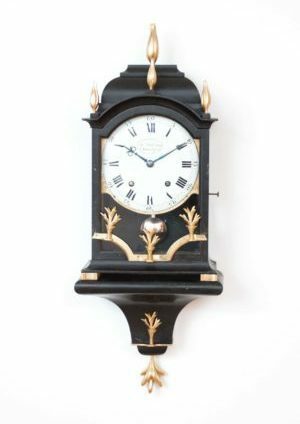 This fine clock has an enamel chapter ring with Arabic numerals which is signed Inv. Fet. Deverberie et Comp. Rue Barrette A Paris. 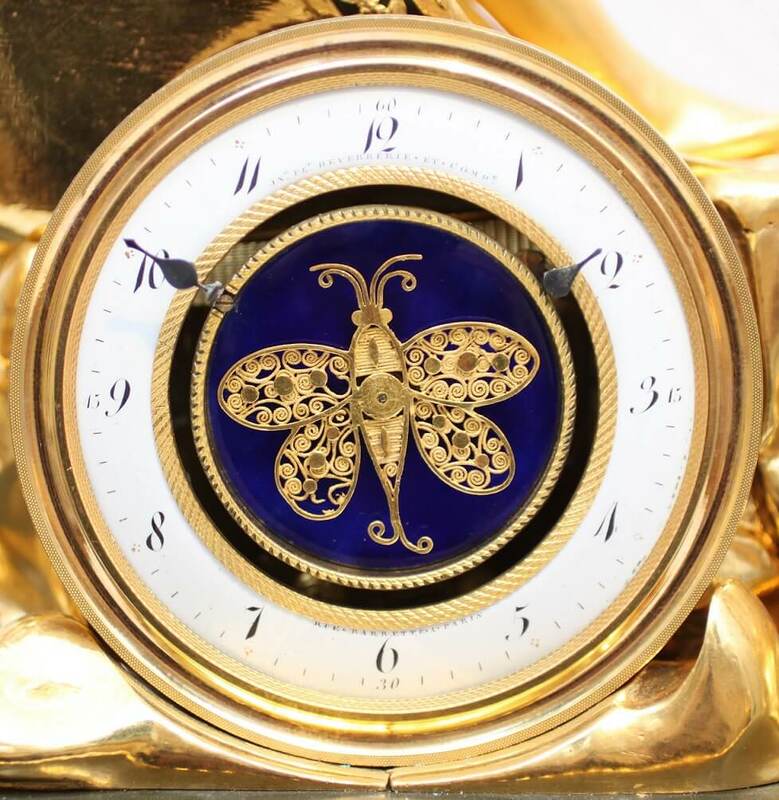 In front of the blue enamel centre there is a pierced ormolu butterfly connected to the going train of the spring driven 8-day movement. 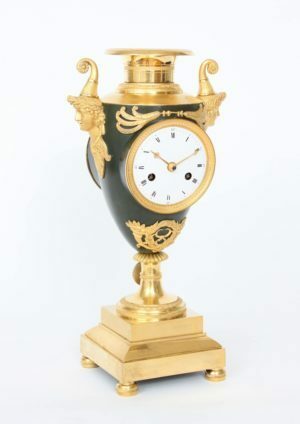 Thus making the butterfly turn when the clock runs. 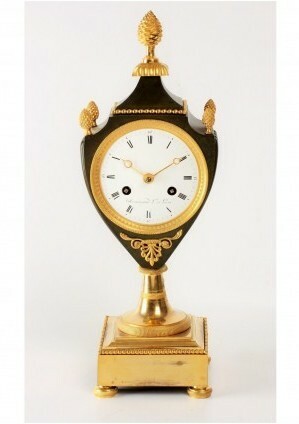 The movement strikes the hours fully on a bell and gives a single strike for the half hours. 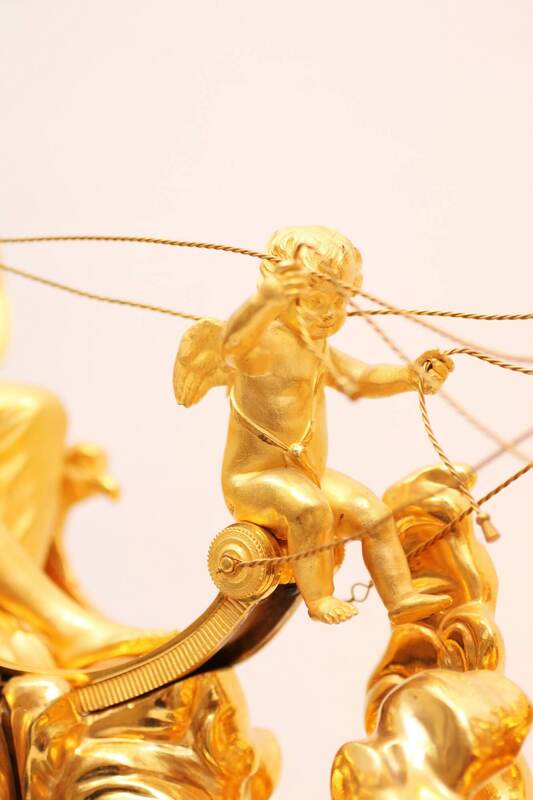 The chapter ring forms the wheel of an ormolu chariot surmounted by a classical lady, and being drawn by putti flying on clouds. 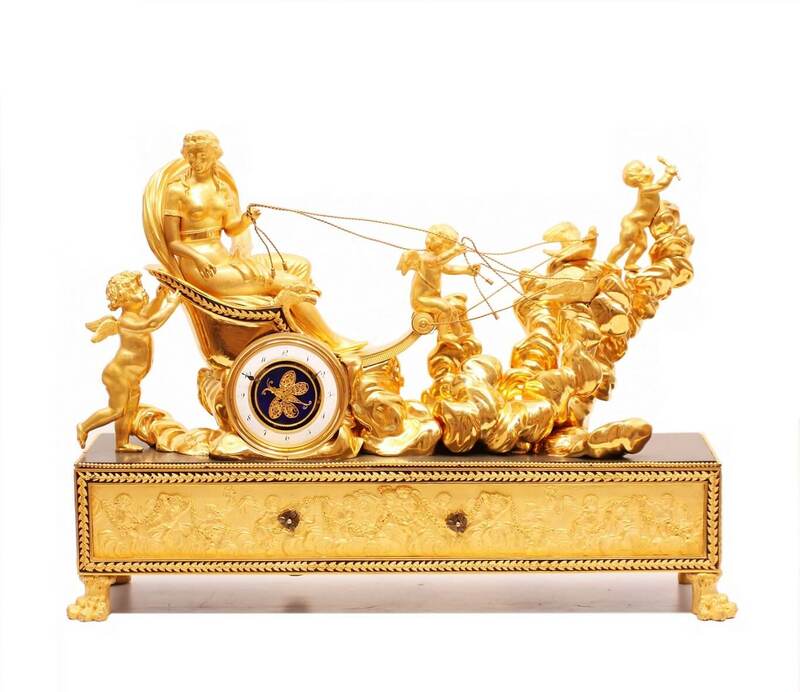 The whole is placed on a rectangular base decorated with a relief of further putti with garlands and clouds and placed on claw feet.